KISRA is a faith-motivated, 501c3, community development corporation that was started by Ferguson Memorial Baptist Church in 1993. KISRA is headquartered in Dunbar, West Virginia. There are also KISRA offices in Charleston, Huntington, Parkersburg, Beckley, Princeton and Elkins. The vision of KISRA is that communities in West Virginia will be strong and self-sustaining. Our core values are commitment to excellence, faith, integrity, respect for all people, continuous improvement, collaboration to maximize impact, transparency and accountability. We serve children, youth, fathers, adults and families in West Virginia, starting with 6 week old babies. KISRA's education initiatives include the Harambee Child Development Center, Harambee Learning Center, Harambee Teen Achievers and Promoting Responsibility Education Program. The WV Pathways to Responsible Fatherhood Initiative, KISRAWorks! and the KISRA Re-Entry Program are our employment initiatives. Economic Empowerment initiatives include financial fitness, affordable housing and business development. Behavioral Health initiatives include AmeriCorps, Compeer Friends, Independent Care Coordination and Family Planning. We match the savings of low and moderate-income citizens up to 8 to 1, when they save towards a home, business, etc. 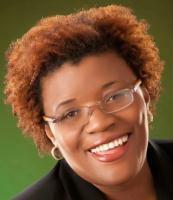 KISRA, CEO, Michelle Foster, was highlighted by the White House in June 2012 as a Fatherhood Champion of Change.